Horace John, Forse & Co. have handled Commercial properties for sale in Cardiff, and around the Vale of Glamorgan, for over 50 years. 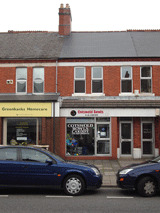 A Ground Floor Shop and Premises situated in a small shopping parade at Burnham Avenue. 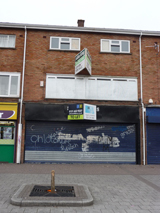 An interesting INVESTMENT property for sale with busy CAFE on the Ground Floor Front and vacant offices on the Rear Ground and First Floors. Being sold subject to the tenancy of the CAFE premises.